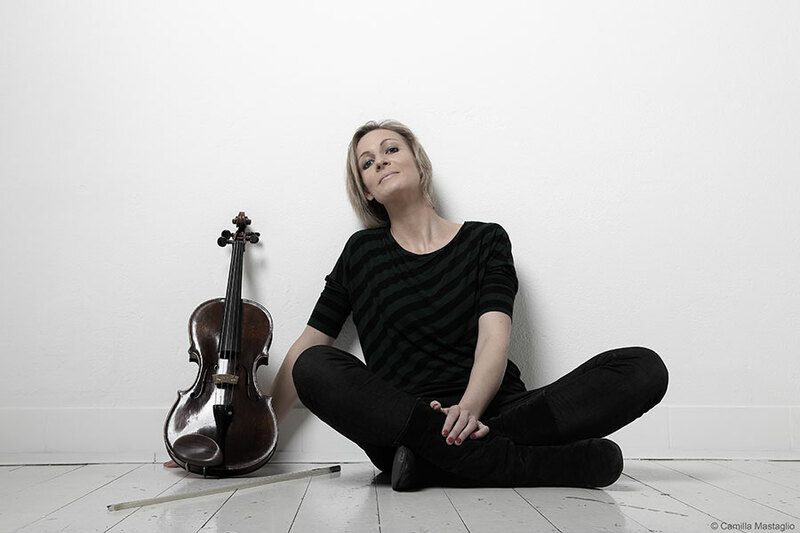 Born in Würzburg (Germany) in 1973, she began to study the violin at the age of 6 and the viola at the age of 10. From 1992 to 1994 she was the pupil of the violinist Walter Forchert, concertmaster of the Bamberger Sinfoniker, at the University of Frankfurt, while from 1994 to 1999 she studied with the violist Tabea Zimmermann. During her carrier she has won numerous competitions such as the Competition Lenzewski and the Deutsche Violagesellschaft. Internationally she affirmed herself in the 2000 ARD competition in Munich, receiving also the Brüder Busch Gesellschaft and Wilhelm Weichsler special prizes. Danusha Waskiewicz began her orchestral experience with Frankfurt Radio Symphony Orchestra, going on to become first viola in various orchestras including the Chamber Orchestra of Europe, the Mahler Chamber Orchestra, the Camerata Bern, the Orchestra della Scala of Milan, the Münchener Philharmoniker and the Bavarian Radio Symphony Orchestra. At only 25 years of age she became a member of the Berlin Philharmonic Orchestra and after two years she won the qualifying competition for the leadership of the viola section. Since 2004, at the invitation of Claudio Abbado, she is the first viola of the Orchestra Mozart of Bologna. With them she recorded the Sinfonia Concertante by Mozart in 2007 for “Deutsche Grammophon” and later Bach’s Brandenburg concertos for the “Euro Arts” label. Since 2010 she is also a member of the Luzern Festival Orchestra. As a soloist she has performed with the Stuttgarter Kammerorchester, Breslau Leopoldina Kammerorchester, St. Petersburg Festival Orchestra, Osnabrücker Sinfonieorchestra, Züricher Tonhalle and Bavarian Radio Symphony Orchestra. In October 2009 she participated as a soloist in the first Austrian performance of “Viola Tango Rock Concerto” by Benjamin Yusupov directed by Diego Matheuz and in november 2014 she played the concert for viola and orchestra by Bela Bartok with the Sudecka Filharmonia. In the realm of chamber music she has many years of experience to her credit, working with many well-known musicians such as Isabelle Faust, Giuliano Carmignola, Mario Brunello, Alessio Allegrini, Sebastian Breuninger, Guy Braunstein, Lorenza Borrani, Thomas Zehetmaier, Kolja Blacher, Hagai Shaham, Alexis Cardenas, Francesco Senese, Wolfram Christ, Julian Arp, Philippe Berrod, Marcelo Nisinman, Chiara Tonelli, Jacques Zoon, Maurizio Grandinetti, Ingrid Fliter, l’Henschel Quartet, l’Arcanto Quartet, Edicson Ruiz and Patrick Demenga with whom she has made several recordings in Trio and Duo. Since 2011 Danusha Waskiewicz has established an on-going collaboration with pianist Andrea Rebaudengo with whom she has performed in duo for various festivals such as the “Festival Musica sull’Acqua” and also at the Lucerne Festival. In June 2013 they recorded their first CD called “21 Songs for Viola and Pianoforte”. In summer 2014 she performed with Isabelle Faust and Mario Brunello the “Golberg Variations” of J.S. Bach during the festival “Suoni delle Dolomiti”. As a teacher she works with children at the Roberto Goitre Experimental School of Music in Colico (Italy) and she also holds master classes for soloist and orchestras at the Orchestra Mozart Academy in Bologna, Hochschule für Musik of Lucerne, Scuola di Musica di Fiesole and Aldeburgh Strings in England.